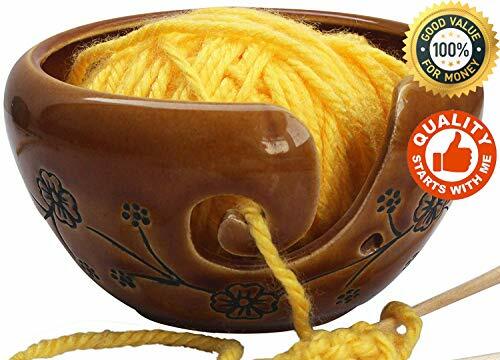 Simple method of keeping your yarn clean, organized, and untangled.The main purpose of the yarn bowl is to keep the yarn from bouncing around when your are knitting or crocheting. Ceramic handmade yarn bowl will help keep your yarn clean and in place for all of your knitting! 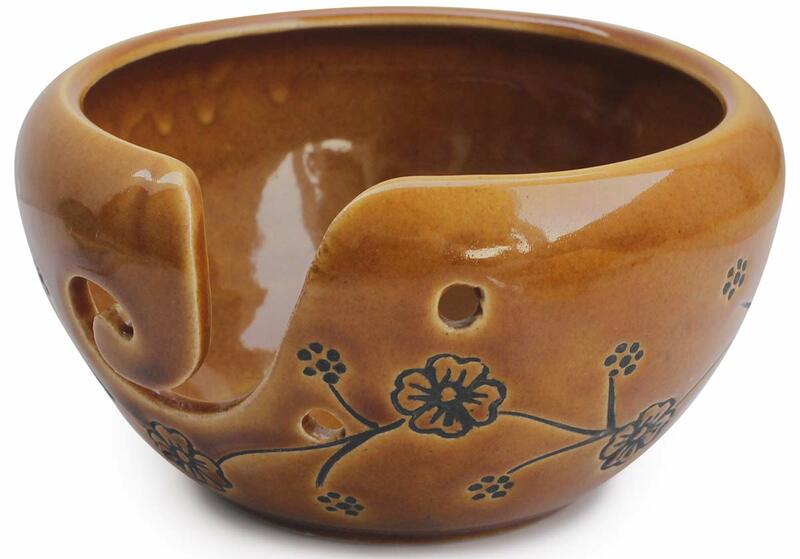 Yarn Bowl both keeps your yarn in place while you knit or crochet and acts as a lovely decorative piece for your space. It keeps Yarn always neat and always ready to be used! It’s design is a perfect fit in Every corner of your House. Beautifully handcrafted. 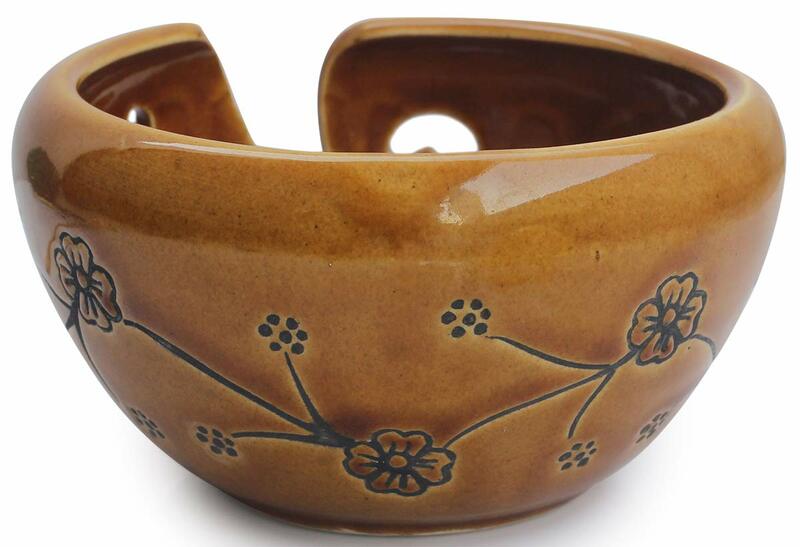 These CERAMIC YARN BOWLS are simple yet elegant, making them both beautiful and functional. It has been made and painted entirely by hand and belong to the Floral collection. 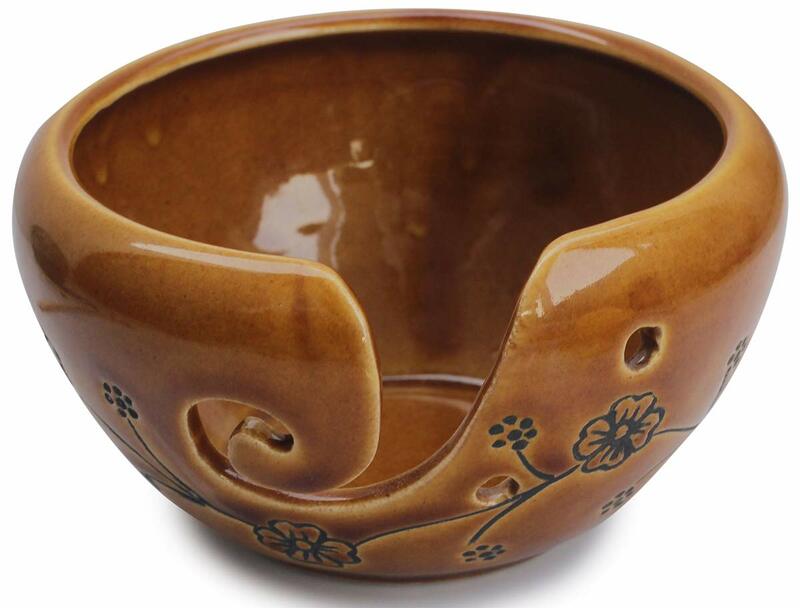 abhandicrafts Ceramic Yarn Bowl for crochet and knitting is the one and only solution for all the problems regarding knitting and keeping it, above all Small in size but very functional – now no need of wasting money on machines and all just buy it and make whatever you like and whenever you like, it has one curvy look with two holes that can easily carry your knitting sticks, best and reasonable gifting option for the one who is the fan/crazy about handmade stuffs. If you are sending this item to someone other than yourself. The perfect present for any knitting or crochet enthusiast! Can be carried in your yarn bag or yarn tote , take your work you anywhere. shipping was super fast & it was expected size but arrived broken. i’ll try to remember to update if glue works.